Noble Hops is the final instalment of the Trouble Brewing series and is full of action right from the get-go. The case against Vaughan heats up and I loved seeing the team build their case against the bad guy as they try to bring him to justice at the same time trying to work out who in their respective offices is working with said bad guy. On the romance front, Nic and Cam are now living together but a huge change in Nic’s life throws a bit of a spanner in the works and added a good dose of angst to the story. My heart was really worried for a while there that it just might end up broken. The combination of crime fighting, action, and love story is well balanced. Add in the fact that it is an m/m love story and it is pretty much my idea of book perfection. I love the way Cam and Nic’s story played out and I cried a happy tear or two in the end. 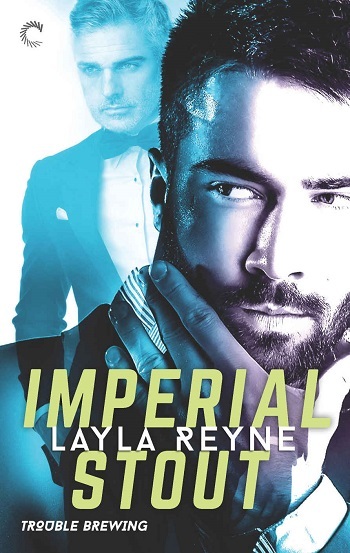 Layla Reyne saved the best for last with Noble Hops. For me, stories don’t get much better than this. I loved this book. After all of the turmoil in the early days of their relationship, Cam and Nic have finally built the trust they need to work together and make each other stronger. The complex investigation into the gangster controlling Nic’s father comes to a head with Nic’s father’s sudden death. I’m a huge fan of the Irish and Whiskey books but I think the addition of Nic’s legal skills – and the potential corruption in his office – actually make the investigations in this series more interesting. I think the plots have become a bit tighter with each story and I’m really enjoying the overarching series-long storylines. If book two belonged to Cam as they raced to find his sister, this book belongs to Nic as all the various pieces of his life finally come together. I love Nic. He was fascinating as a military vet turned attorney/hipster beer brewer and he’s even more interesting when we finally get to learn more about his early years and the people who shaped him as a child. This story isn’t as much of a romance as the first two books but I got all the good feels from the solid, quiet trust that now exists between Dom and Nic. These two are partners in every sense and I love the way they intuitively meet each other’s needs. The ending felt a little bittersweet as almost all of the series’ loose ends have been wrapped up. I don’t want to say goodbye to these characters yet and I’m holding out hope for a fourth book. 4.5 stars rounded up after I wrote the review and was reminded of all the goodness in this book! This is the third book in the series, and draws together many strands from the previous two books – so I would highly recommend that you read them in order. Nic continues to juggle many issues and it is taking a toll. But suddenly everything crystallises, and we then get a rollercoaster of an adventure story. It is a complex mix of fraud, family, FBI, and friendship, all kept stable by the love of his life, Cam. It was a great relief to me that they did not go back to being hidden, but rather used their relationship for good, and (mostly) remained on the same page! I should also mention the brewing side of the story, which I really enjoy as it makes the otherwise very serious and lawyerly Nic into a creative soul. His tribute brew to Cam sounds absolutely delicious, and I would love to be able to try it! It is certainly not an easy ride though, and when Cam finally meets GS, and gets the cypress tree connections, he has to wonder whether his life will be as he so dearly wishes it to be. Of course, Layla Reyne does not let her fans down, and along with the drama, we get a very intense romantic edge to the story. These men love each other, no doubt about that, none at all. For reviews & more info, check out our Imperial Stout post. For reviews & more info, check out our Craft Brew post. 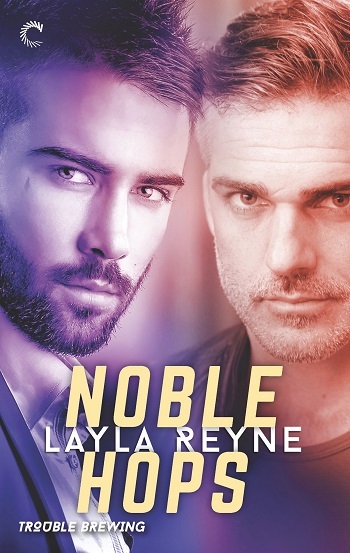 Reviewers on the Wicked Reads Review Team were provided a free copy of Noble Hops (Trouble Brewing #3) by Layla Reyne to read and review.